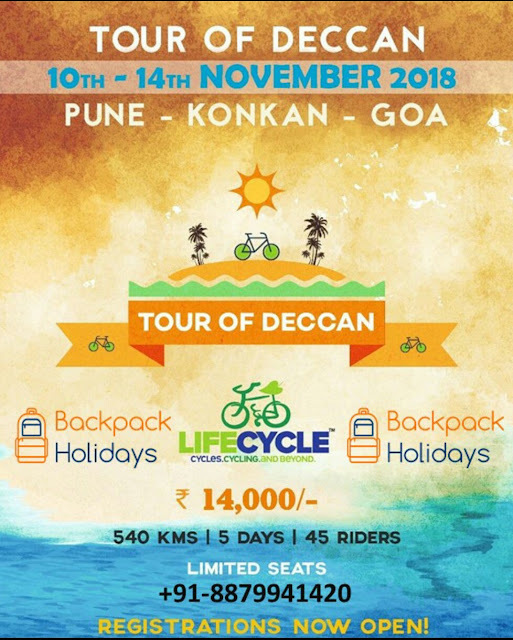 It is that time of the year when we do some serious pedal pushing to reach Goa from Pune in 5 days covering 540 Kms. Kokan could be a synonym for natural beauty. With beaches, jungles, mountains and rivers, Kokan lies as a unique tourist spot in India. Kokan has 720 kms of beach. There are thick forests at one side and they contain all types of plants from fruits-bearing trees to herbal plants. The mountains ooze streams of mineral water and they flow down like silver lines on the mountains. There are rivers, sea forts, excavations, and a lot more. Your cycles will be delivered back to Pune by our trucks. Later collect it from us.